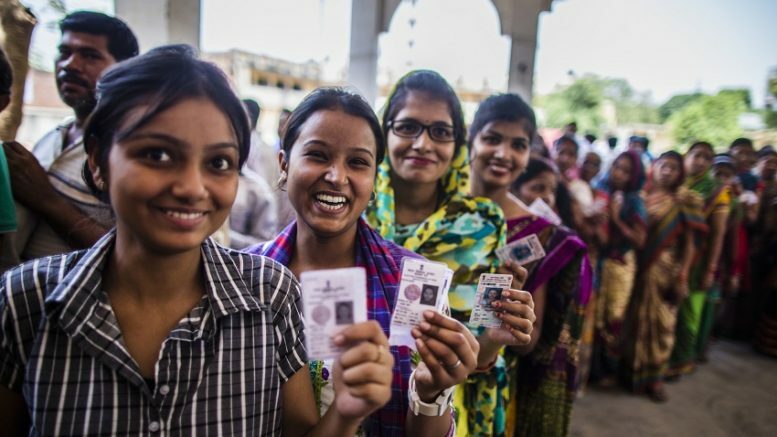 Out of 14.40 crore electorate in Uttar Pradesh for Lok Sabha polls first time voters comprise more than 12 lakh. Names of 12,36,000 voters have been added to the electoral roll in the state . “Voters in the age-group of 18-19 is 16.75 lakh. The total number of voters in the state is 14.40 crores,” UP’s chief electoral officer L Venkateshwar Lu said. Various political Parties have been trying to impress this group through various programmes in this politically crucial state which sends 80 MPs to the Lok Sabha. The BJP’s youth wing ,the Bharatiya Janatha Yuva Morcha, had last month launched a drive across the country to reach out to first time voters. This came after Narendra Modi’s call to the BJP to connect with those born in this millennium as they will get voting right this year. BJP had won 71 out of total 80 seats with 42.63 percent of votes from UP in 2014 Lok Sabha polls which was crucial in their spectacular performance in that election. When BSP secured 19.77 percent votes without winning any seats Samajwadi Party won 5 seats and secured 22.35 percent vote. Congress got 2 seats with 7.53 percent votes. Overall India first time voters form more than 13.3 crore . Even though the voting percentage of youth voters are comparatively low, first time voters consist more than 15 percentage of Indian population. There have been many attempts from government and non governmental bodies to encourage youth to vote. First time voters behave differently. They are better informed,educated and tech-savvy and may take a stand against political leanings of their family. According to ECI data,about 2.6 crore young people in the age bracket of 18 to 20 years have already been registered in the electoral rolls. The number is 1.38 crore for 18-19 age bracket ,according to ECI data,as of February 10. With big battle of 2019 approaching political parties are trying their best to engage with young electorate. Encounter or Murder? The Onus of Proving Innocence is on the Yogi Government! Be the first to comment on "Over 12 lakh first time voters from UP for Lok Sabha election"